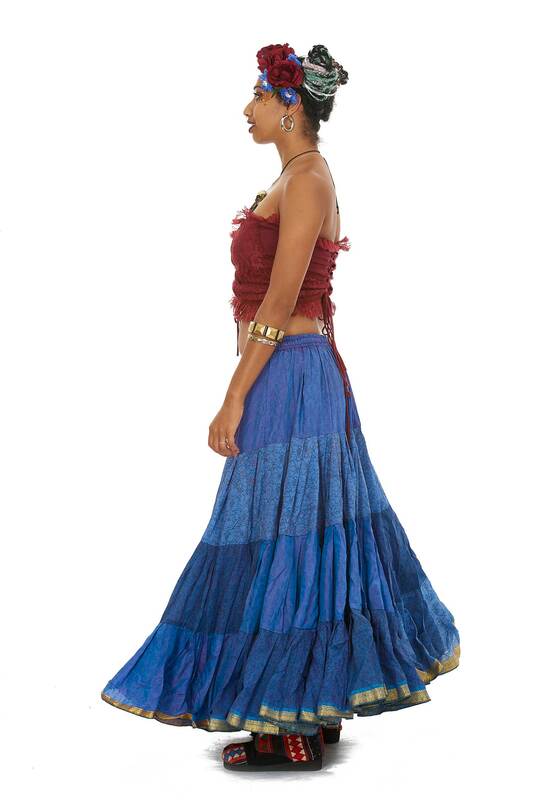 This long, four-tiered skirt is made from the beautiful silk fabric of four vintage saris. 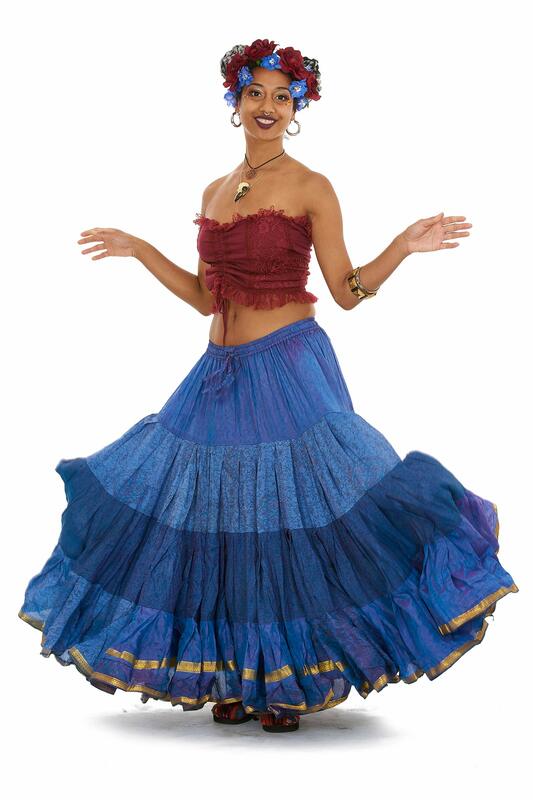 It is weighty and full, so has a beautiful sway when you walk or dance. 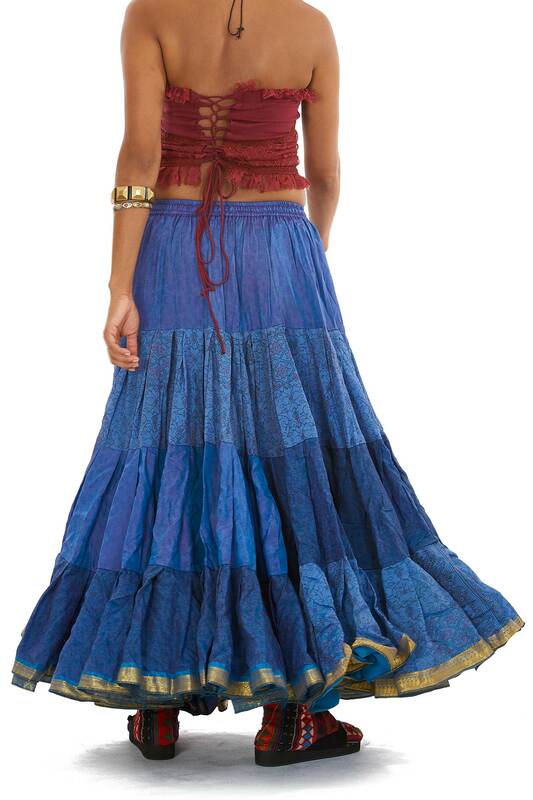 Great for Tribal Fusion, Bellydance or Gypsy outfits.